What sound does a rabbit make? And do they make any noise at all? Not only can rabbits display an intriguingly complex variety of nonverbal communication methods, but their range of rabbit sounds is nothing short of impressive. The sounds rabbits make can range from gentle burbles of contentment to terrorizing screams. Rather than freaking out the first time you hear rabbit noises coming from the direction of your hutch, use this handy short guide to learn more about bunny noises and what they mean! So what sound does a rabbit make? How can you start to learn all the different bunny sounds? In this short and sweet guide to rabbit noises, we are going to help you place the rabbit sound name with the sound itself. 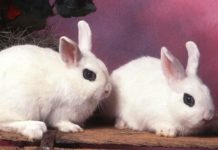 We will describing each sound and then offering you a short video clip you can listen to of a rabbit making that sound. This way, you can start to listen to your rabbit more closely and learn what each sound means! What sound does a rabbit make? 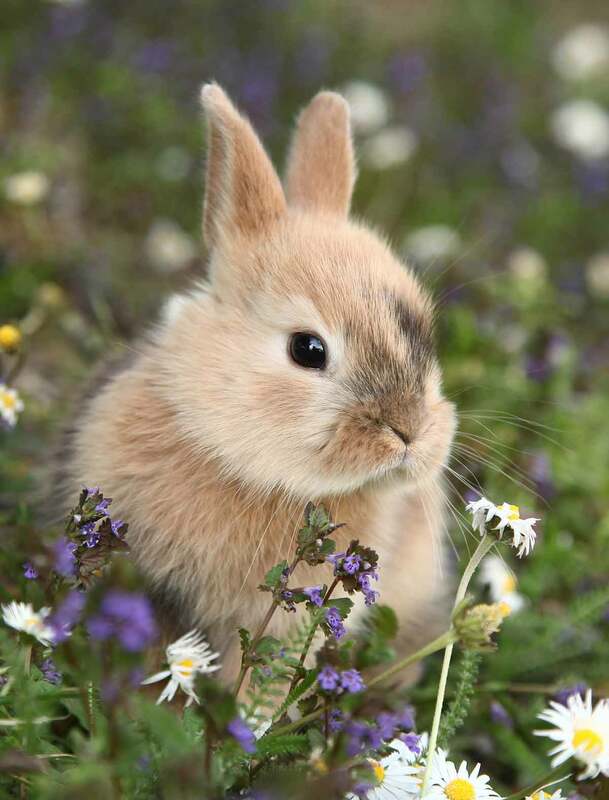 Rabbits make quite a few different sounds, despite being known as fairly quiet creatures. These noises include thumping, clicking, clunking, honking, buzzing, whimpering, whining grunting, snorting and even screaming. But what on earth do all those rabbit sounds mean? You will also be able to explain what each of these common rabbit sounds means! While not a vocal sound, per se, thumping is a very common sound rabbits can make, and it is helpful to know this as you learn more about each rabbit noise’s meaning. A rabbit will thump for a variety of reasons. Sometimes your rabbit may just want attention (or a treat). A rabbit may thump for territorial reasons (food, habitat space, mates). Listen to the sound of a rabbit thumping in this video. Another sound rabbits often make is tooth-clicking. If you’ve ever petted a cat that purrs in pleasure, you can think of tooth-clicking like the rabbit version of a purr! Listen to the adorable sounds of a rabbit tooth-clicking (purring) in this video. The sound of rabbit clucking is another sound of contentment. It can sound oddly like the clicker device used for pet training! Listen to the sound of a rabbit clucking in this video. Rabbits that are not “fixed” (spayed/neutered) when they become sexually mature can, well, “breed like rabbits” – and you may wake up one day with a big surprise in the rabbit hutch! If you start to hear your rabbit honking, buzzing, or humming and you don’t plan to breed your pet, this can be a good time to talk with your veterinarian about the spay/neuter procedure. Otherwise, your un-altered rabbit may start spraying everything in sight – including you – during hormonal episodes! Honking is the sound a rabbit makes when courting another rabbit. Your rabbit may also start honking during cuddle time as a display of affection towards you! Listen to the sound of a rabbit honking in this video. Humming or buzzing is another sound a courting rabbit often makes, but hormonal rabbits may make this sound even if there is no other rabbit around to court. Listen to the sound of a rabbit humming/buzzing in this video. 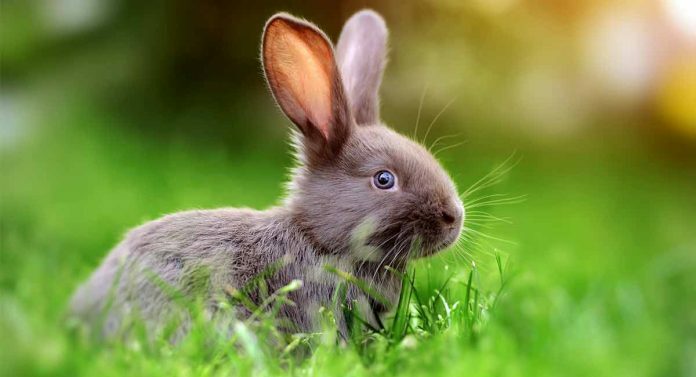 The sounds of a rabbit in distress can include an injured rabbit sound, an angry rabbit sound, a fearful rabbit sound, or even a dying rabbit sound. For example, when a wild rabbit is caught by a predator, screaming may shock the predator into dropping the rabbit so it can escape. It is vital to pay close attention to your rabbit’s distress calls and move promptly to fix whatever is causing them. This will build trust between you and your rabbit and really help with the taming and training process! As this sound’s name suggests, whimpering or whining is not a happy rabbit sound. A rabbit will whimper when afraid or unhappy. Listen to the sound of a rabbit whimpering/whining in this video. Grunting is a sound a rabbit will make when they are not happy. A grunt can be a warning that the rabbit isn’t in the mood to be picked up or handled. Grunting can also be territorial, both towards habitat space and food. Ignore grunting at your own risk – often it will be followed by biting or scratching! Listen to the sound of a rabbit grunting in this video. Snorting, grunting, and growling can all happen together or separately. Listen to a helpful video that shows the different levels of rabbit snorting/grunting/growling. The sound of rabbit screaming is not for the faint of heart. A rabbit will only scream when in deep terror or in pain. Even domesticated rabbits will scream when injured or frightened. Some owners say the sound of rabbit screaming is quite similar to the sound of a small child screaming! Listen to the sound of rabbit screaming in this video. Baby rabbits can make a surprising range of sounds nearly from day one! For example, the mother rabbit will call to the babies and the babies will respond, which will help the babies build their vocabulary for adulthood. 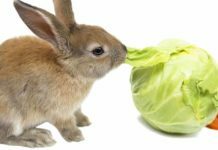 Baby rabbit sounds won’t be as distinct as adult rabbit sounds, but with a little practice you can start to sort out the distress sounds from the contented sounds. Listen to the sounds of a nest of adorable baby rabbits in this video. So now you can knowledgeably answer anyone who asks do bunnies make noise! Do you have a rabbit who makes a sound you can’t identify? Drop us a comment and we can help you figure it out! Wikramanayake, A., Ph.D., et al, “Saving Wild Baby Rabbits,” The University of Miami Department of Biology, 2018. Gioia, J., “Behavior – the Things They Do and Why,” Missouri House Rabbit Society & Rescue, 2018. Zickefoose, J., “Rabbits to Be Respected, If Not Admired,” NPR, 2008. 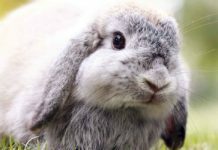 Holland Lop – Is This Little Lop Eared Bunny Your Perfect Pet?